Ann | Robert S. Minch, D.D.S., P.A. 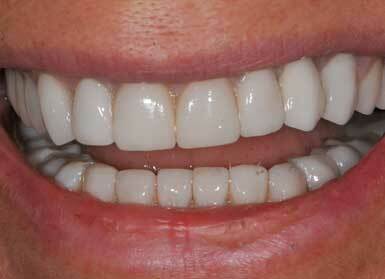 Ann is a 48 year old surgeon from Romania who felt like her teeth were “too yellow” and “crumbling”. In truth, because of years of clenching and grinding, the edges of her teeth were thinning and starting to break off in little pieces. 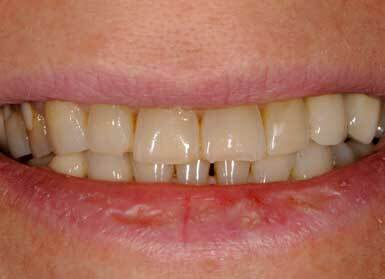 A comprehensive approach was needed to efficiently plan the steps from yellow chipped teeth to a white, clean smile that is strong and healthy. The steps included porcelain veneers on the upper and lower front teeth as well as porcelain onlay/ veneers on the upper and lower back teeth. Click here to see a close up view.